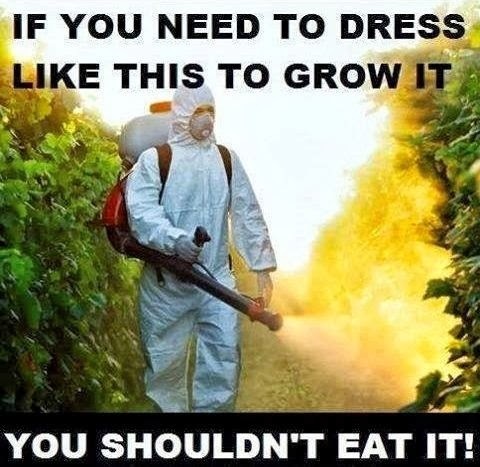 Around 888 million pounds of pesticides are applied each year in the US alone. That’s nearly 3 lbs per person. The average child gets 5 or more servings of pesticide residues in their food and water each day. Here is the most recent list of the most pesticide infected foods which include lettuce, celery, spinach and kale. Buying organic is not only expensive, but the word "organic" does not mean pesticide or chemical free. Aquaponics is pure and clean food by necessity (any toxic chemicals used would kill the fish). Whether you grow your own food with aquaponics or support your local aquaponic farmer, you and your family will be consuming much less of the bad stuff.